The Qantas Boeing 787-9 Perth to London nonstop service is smashing speed records, with some flights beating the schedule by up to an hour. Monday’s QF10 flight time from London to Perth was just 15 hours 45 minutes — one hour faster than published as the pilots hooked up with a strong jet stream. 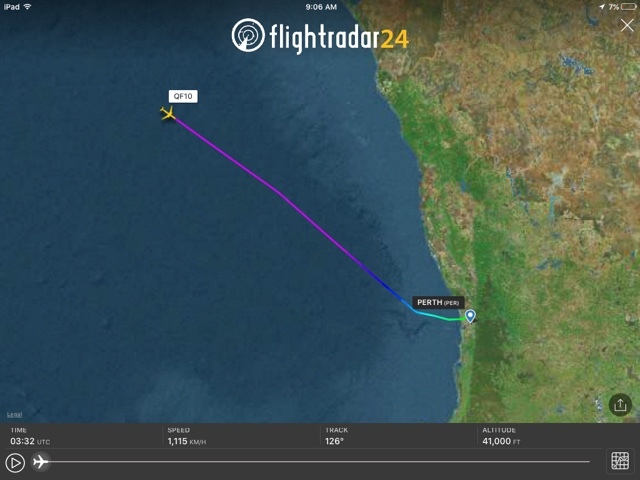 The average speed for the journey was 938km/h but just before the descent into Perth, the plane was flying at 1115km/h. The typical cruise speed for a 787 is 900km/h. And the journey to London is also getting quicker, with QF9 on Wednesday taking just 16 hours 55 minutes — 25 minutes faster than the schedule. The previous record for the flight was set in April 1987 when a Royal Air Force VC-10 flew from Brize Norton, Oxfordshire, to Perth non-stop being refuelled twice inflight. That record was marker to marker and did not include the take-off and landing. Supporting the pilots of the nonstop flight is the high-tech Qantas integrated operations center at the airline’s Mascot headquarters. Multi-disciplinary experts in areas such as load control, engineering, weather forecasting, catering, flight planning, dispatch and customer service monitor the operations, plan flights and are ready to leap into action when something goes amiss. 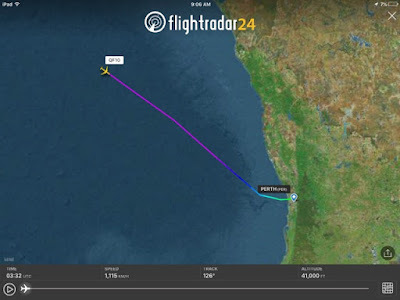 Qantas chief technical pilot Alex Passerini said key issues with the London flight include avoiding headwinds, because they made a significant difference to the flight time, and negotiating the complicated patchwork of air traffic control regions run by various countries. The airline has its own weather forecasters who monitor conditions up to seven days before the flight and keep a closer watch once it is 72 hours away. “It is the most technically challenging route that Qantas flies today because of that complexity of the airspace that we deal with and some of the challenges that poses,” Capt. Passerini said. “It is very complex but we have a great team, very experienced and they do their jobs very well, so they contribute very significantly to the outcome of those flights.” During flights, the weather team monitors a host of screens which display the world’s most sophisticated data and satellite images so that pilots can select the smoothest — and fastest route. According to travel agents, the Perth to London nonstop is proving popular and it is difficult to get premium seats. Qantas chief executive Alan Joyce said last month that if the London flight was a success the airline would look at a Perth-Paris nonstop by the end of next year. The next four 787s that the airline will take delivery of in the second half of this year are accounted for on flights to the US. After those deliveries, the airline is expected to get another four in the second half of next year. Found this story this morning from the Sydney Morning Herald and found it very interesting. Consumer advocates are calling for a fixed compensation scheme for airline passengers who are put out by delayed or cancelled flights, as data reveals that one in every five services between Australia's two largest cities is running late. Data supplied by the Bureau of Infrastructure, Transport and Regional Economics show that flights between Sydney and Melbourne were plagued with below-average performances for the year to February, with 24 per cent of southbound flights and 22 per cent heading north arriving late across all airlines. The average rate for delayed arrivals across Qantas, Virgin Australia, Jetstar, Tigerair and Regional Express for all domestic services was 18 per cent for the period. Melbourne Airport expects that delays will get worse, predicting that its domestic on-time performance to fall from better than 80 per cent on most days now to as low as 60 per cent by 2022, when it hopes to have a third runway operational to ease congestion. Eight of the 10 worst services in Australia for the period were operated by Tigerair, topped by its Canberra-Brisbane service which arrived late 45 per cent of the time. Sydney is meanwhile looking to ease congestion with the opening of its second airport at Badgerys Creek in 2026. Sydney to Melbourne is the world's second busiest air route, with 60,059 aircraft trips in 2017, according to the bureau – a 12 per cent increase over five years. The bureau defines a flight as being "on time" if it lands at the gate within 15 minutes of the scheduled arrival time. A flight is considered cancelled if it is pulled out of service within seven days of its scheduled departure. The story goes on a lot more and there are links and graphs, so if you are in Australia and fly often I suggest have a look at the below link and see how your city rates. Today is day two of a five day break, with yesterday being a public holiday for ANZAC day I decided to take Thursday / Friday off as well giving me a 5 day break from work. So with the girls heading off to school and my wife heading off to work I decided to go out to the airport for the morning. There are a few aircraft getting around I haven't seen yet and today I am pleased to say I crossed two of those off the list. I hope you enjoy the below list of photos.